More often than not, beginners will mess things around before finally learning how to do things the right way. Growing marijuana is no different and it takes patience and practice to perfect the skills necessary for a successful grow. There are some common mistakes that growers encounter that may lead to disappointment in the long run. Let’s go over the three most common beginner mistakes when growing cannabis. Using old seeds or mystery seeds to grow a new plant is not advisable. You may likely end up with a dud if it’s too old, seeds have a shelf life of a year or two, and only if they are stored correctly. An old seed which is not viable cannot grow even when given the best environment to do so. Old seeds may take long to sprout or not sprout at all. With a mystery seed you may end up with a male or hermaphrodite plant which has both male and female flowers. To avoid disappointment one should buy their marijuana seeds from a reputable and trusted source as such seeds have been checked for viability. Needless to say, planting a seed one just found in a marijuana bag they bought may lead to disappointment as origin and genetics of the seed is unknown to the grower. Sometimes you luck out with an exotic strain, but no way to truly identify it. Over fertilizing is also another simple mistake a beginner is likely to make. We want our plants to grow big and fast, so sometimes we feed them too much. Using too much fertilizer means there is a build up of nutrients in the soil. If this were to happen with your plant, it could lead to nutrient burn. Nutrient burn slow grow, and damage your plant The tips of the leaves look burned and they may begin to curl up and die if left in the over fertilized soil for too long. Flushing your plant with a mild full NPK fertilizer diluted with plenty of water will help remove the toxic build of nutrients from the soil. Be sure to use minimum of water at least 3 times the volume of your planter. Flushing and transplanting are two possible solutions for fixing over fertilized marijuana. The excitement that comes with being able to grow your own marijuana plant may cause a beginner grower to rush into the process blindly. Having the basic knowledge on how to go about it goes a long way. In order to grow good bud, something as simple as choosing the right seed to begin with may make a big difference in the harvest. Knowing the fertilizers required at every stage of growth is very important. Keeping a grow journal and feeding schedule can help you avoid harming your plants. For one to master the skill of growing marijuana, it is important for them to acquire the necessary information on the process. This involves knowledge of common mistakes and best remedial actions. 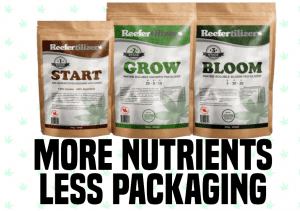 Mike Drouin is the co-founder of Reefertilizer and a writer of many articles about growing cannabis. He enjoys cycling and camping and sometimes combines the two. He's not a fan of pancakes for some reason. 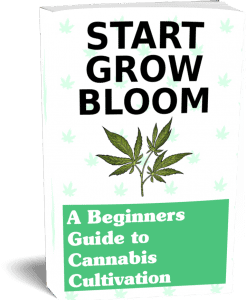 Download your free grow guide today! Sign-up for email updates, news, and special offers.